voutwelding.com - VOUT WELDING LTD.
Vout Welding was founded in Cobourg in 1972 by Mr. G. Vout, and has been owned and managed since 1977 by its current president. The company has had steady growth from a welding repair shop, to a medium-size fabricator and erector, complete with in house engineering department. It operates from a 15,000 square foot plant on five acres of industrial land in Cobourg, Ontario. 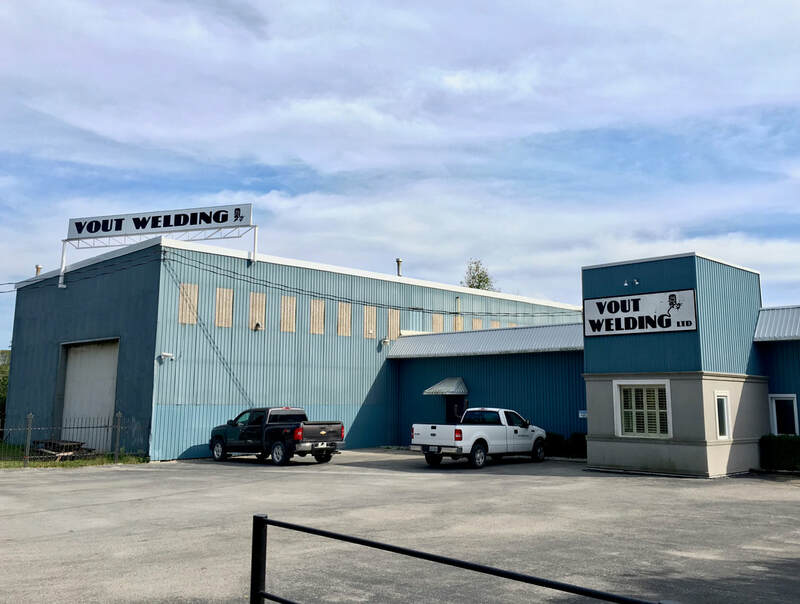 Vout Welding employs a highly skilled team of metal fabricators, welder/fitters, erectors, and business administrators to serve residential, commercial and industrial construction projects. We can handle your project from the concept stage through engineered drawings, fabrication, erection, and completion in a timely and cost efficient manner, and can ship anywhere on the globe.